A passerby glances at a memorial for Holly Hamilton at an intersection not far from where her body was found in the trunk of her car in Hamilton. 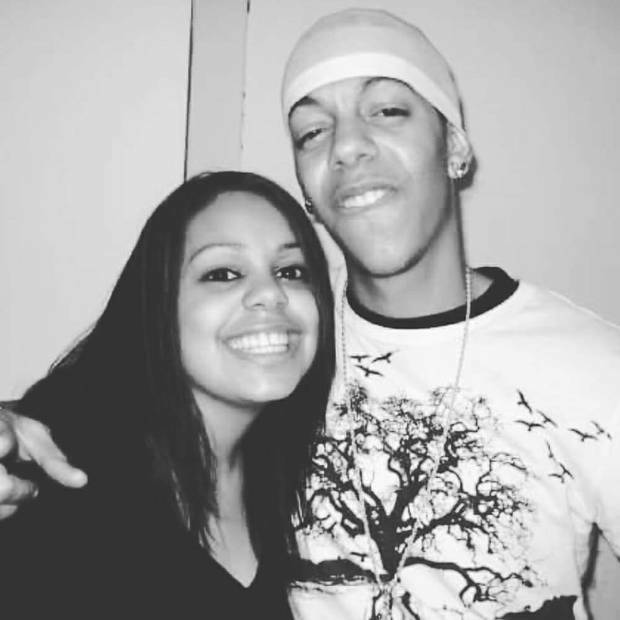 As Holly Hamilton's family prepares for her funeral, the slain Ontario woman's brother has spoken out about the ultimate cost of domestic violence. "Holly is at peace now, but my family and I, along with other families affected by domestic violence, never will be," Cass Hamilton said after his sister's death. The 29-year-old single mother was found dead in the trunk of her car last week, a short distance from her ex-boyfriend's apartment in the east end of Hamilton, where she had last been seen alive days earlier. She was stabbed to death. 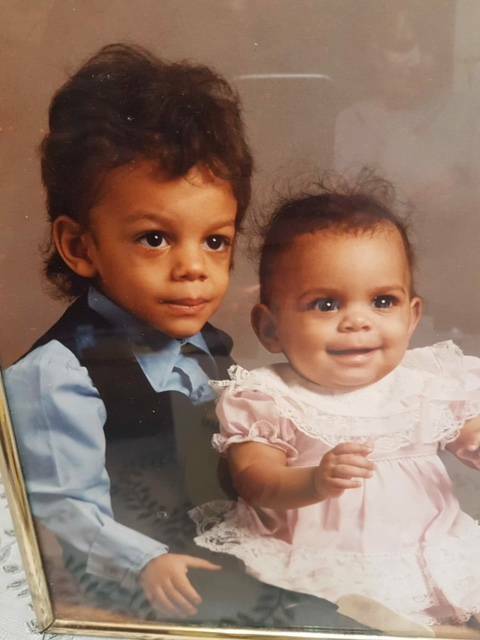 Holly Hamilton with her brother, Cass Hamilton. Her ex, Justin Dumpfrey – with whom she has a four-year-old daughter – has been charged with second-degree murder. Hamilton police say Mr. Dumpfrey had been convicted of domestic violence against her before. As Mr. Dumpfrey's case makes its way through the courts, Myrna Dawson, a professor at the University of Guelph and head of the Centre for the Study of Social and Legal Responses to Violence, will be watching closely. In an effort to establish a more comprehensive picture of domestic homicides, the centre recently launched the Canadian Femicide Observatory for Justice and Accountability. The project will document and tally femicide cases on a national scale for the first time, as well as the coverage and outcomes of these cases. "We have basic info [on homicides in Canada]. But I think what we lack is information that's more nuanced with respect to how women are killed, and in particular in domestic homicides as we've seen in the last week or so," Prof. Dawson said. The goal is to help cultivate a better understanding of why these deaths occur and how they can be prevented. Previous work on this subject has largely focused on the factors leading up to cases of femicide – but one of the primary goals of the observatory will be to look at the "social and state responses" after it occurs. How are they handled by the courts? How are they covered by the media? What are the comments like on social media around these cases? These, too, are factors in prevention. "We focus attention on prevention prior to the incident, but if we recognize the fact that attitudes are one of the key contributing factors to ongoing violence against women, then we need to understand what those attitudes are," Prof. Dawson said. "Identifying those attitudes so we can start to challenge them and break them down is important – and one of the key goals of the observatory." A woman is killed at the hands of her partner (or ex-partner) on average every five days across Canada, University of Ottawa law professor Elizabeth Sheehy says. "That no one has declared that an emergency tells you, I think, that we accept it as just the way it is – or as a fact of life, that men kill women … and that's pretty scary," she said. Last week alone, in just the Greater Toronto and Hamilton Area, five women were allegedly killed at the hands of an intimate partner. The same day that Ms. Hamilton's body was discovered by police, a senior couple was found dead in their suburban Oakville home, a short drive away, after police responded to a weapons call at around 5 a.m.
Prem Singh, 69, and Jan Singh, 70, were found dead. Mr. Singh shot his wife and then himself, Halton Police said. The weekend before, three women were killed within hours of each other in Peel region. A 29-year-old Brampton man, Dalwinder Singh, is charged with two counts of second-degree murder after Peel Regional Police say he stabbed his wife and his mother-in-law, 32-year-old Baljit Thandi and 60-year-old Avtar Kaur. A child in the home was uninjured. Just hours later, in Mississauga, 61-year-old Robert Bellevue was charged with first-degree murder and attempted murder after his 61-year-old wife was found dead with signs of trauma from stabbing. There were two teenage children in the house, both of whom were taken to hospital. One of the teenagers suffered serious, but not life-threatening injuries. "The common factor," Prof. Dawson said of these cases, "is that it's a woman in an intimate relationship, which we now recognize is the most dangerous environment for a woman – even though we continue to fear strangers more." And while she says domestic homicides are the most preventable, they also remain among the most common cases. That's largely because of the damaging stereotypes and attitudes that prevail around violence against women, she says. These cases are still too often dismissed as marital disputes or crimes of passion – contrary to the research that shows many femicide cases are the result of escalating, long-term violence. "If we don't see these crimes as preventable, our attitudes will be that it's not preventable," Prof. Dawson said. "The reality is these are not disputes. Intimate femicides rarely occur out of the blue. " Hamilton Police Sergeant Dave Dunbar agrees. He leads the service's domestic-violence unit and every arrest file lands on his desk. In this city alone, officers respond to an average of 6,500 to 6,700 domestic-related calls a year – approximately 18 calls a day, Sgt. Dunbar said. "It's concerning. And again, I have to stress, it's an underreported crime. We're scratching the surface on most days," he said. Hundreds of recommendations have been made over the years to try and prevent domestic homicides in Canada. "We are very good at recommendations as a province and country and society, but we're not really good at acting on those recommendations," Prof. Dawson said. That's another thing they will be documenting through the Canadian Femicide Observatory: What recommendations have been followed up on and what changes have actually been made. Two tragic clusters of femicide cases, in 1996 and 2000 respectively, prompted coroner's inquests in Ontario around domestic homicides. These led to a Domestic Violence Death Review Committee – which Prof. Dawson sits on today. Between 2003 and 2016, the committee reviewed 289 cases, including 410 deaths. Of those cases, 65 per cent were homicides and 35 per cent were murder-suicides. Of all the cases reviewed, 73 per cent of them involved a couple with a history of domestic violence. Sgt. Dunbar tells his front-line officers that when they respond to a call and mark it down as a non-criminal or "just verbal" domestic call, that this is the beginning. "I can tell you right now that there is always an escalation," he said. The unit has evolved over the years to add services such as victim- and witness-support staff and bail-safety officers, who do risk assessments and planning with victims when their alleged abusers are being considered for release. Prof. Dawson says there has historically been an "intimacy discount" in the justice system when it comes to domestic violence. "When perpetrators come before the courts, the court's response often is more lenient when they've had an intimate relationship with the person that they killed. And that's consistent internationally." She uses the example of a defence lawyer who is seeking a reduced sentence, arguing that his client was a danger only to his now deceased partner. "It's a huge devaluation of the value of a woman's life, but it's also just wrong – he isn't just dangerous to her," Prof. Sheehy said, pointing out that research has shown mass killers often have violent domestic pasts. Prof. Dawson is encouraged by movements such as #MeToo that are challenging attitudes around sexual assault and abuse and violence against women. "The MeToo movement is going to benefit all women, because we are looking at violence as a continuum. None of this violence is really disconnected from any other type of violence," she said.